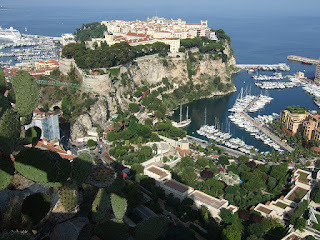 For such a small country, Monaco is draped with an abundance of green spaces, covering 20% of its territory. In fact, the country has boasted a commitment to ecology, starting in 1873 with Prince Albert I, long before environmental consciousness was a bandwagon to jump on. Though it's the Monte Carlo Casino, Grand Prix and other opulent- and luxury-laden sights and events that get all the tourist attention, my interest in Monaco is the myriad parks and gardens.